Women who stay active after menopause might reduce their risk of breast cancer. New research shows that women who engaged in at least one hour of vigorous physical activity each day significantly lowered their risk for breast cancer compared to those who didn't exercise. But, even walking at least seven hours per week lowered the risk considerably. The researchers made their determinations based on data on 73,615 postmenopausal women between 50 and 74 years old. The women were all part of the Cancer Prevention Study - II Nutrition Cohort, and enrolled in the study between 1992 and 1993. They were asked to complete a questionnaires about their health and lifestyles at the beginning of the study, and then every two years between 1997 and 2009. About 9 percent of the women did not exercise, and about 47 percent said that walking was their only physical activity. The researchers calculated the total hours of metabolic equivalent (MET) for each subject, the ratio of energy spent during a specific activity to the resting metabolic rate, the amount of energy expended while people are at rest. 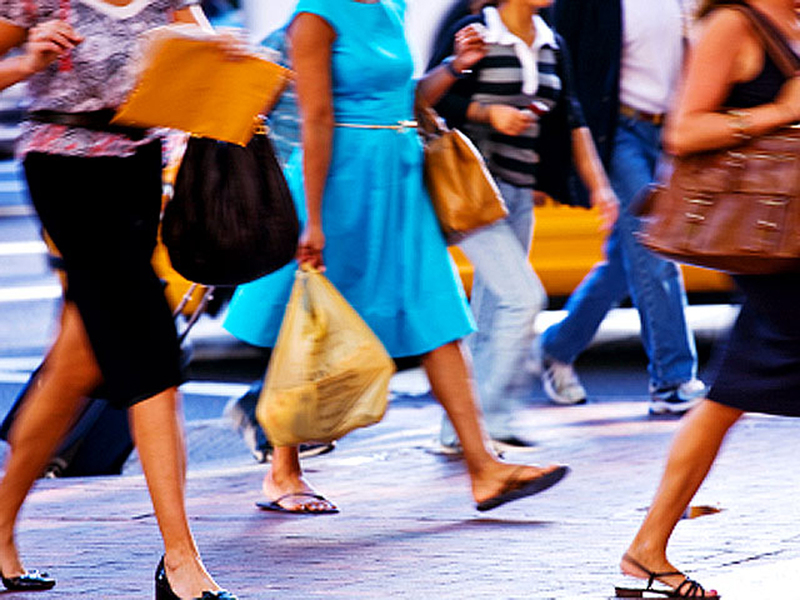 The median MET expenditure among active women per week was 9.5 MET, which is about 3.5 hours of moderate-paced walking. The most active women, who had 42 MET hours per week or more (at least one hour of vigorous exercise a day), reduced their risk of breast cancer by 25 percent compared to women who were the least active. These women averaged less than 7 MET hours a week, or about two hours of moderately-paced walking. Looking closely at women who walked as their only form of exercise, researchers saw women who walked seven hours or more per week had a 14 percent lower risk for breast cancer compared to those who walked three hours or less. Study co-author Alpa Patel, a senior epidemiologist at the American Cancer Society (ACS) in Atlanta, Ga., said in a press release that because 60 percent of women say they walk each day, this study showed that this simple activity might be an easy way for doctors to encourage exercise among postmenopausal women. "We were pleased to find that without any other recreational activity, just walking an average of one hour per day was associated with lower risk of breast cancer in these women," she added. The Centers for Disease Control and Prevention recommend at a least 2 hours and 30 minutes of moderate-intensity activity or 1 hour and 15 minutes of vigorous-intensity aerobic activity weekly. Adults also need muscle-strengthening activities on 2 or more days a week. Exercise has previously been shown to reduce risks for obesity-related cancers like those of the esophagus, pancreas, colon, breast (after menopause), endometrium (lining of the uterus), kidney, thyroid and gallbladder cancer. It can also help prevent cancer survivors from relapsing and can improve their quality of life, reduce fatigue and boost energy levels. "This study adds further evidence that our lifestyle choices can play a part in influencing the risk of breast cancer and even small changes incorporated into our normal day-to-day activity can make a difference," Delyth Morgan, chief executive of Breast Cancer Campaign, told the BBC. "We know that the best weapon to overcoming breast cancer is the ability to stop it occurring in the first place," Morgan, who was not involved in the study, added. "The challenge now is how we turn these findings into action and identify other sustainable lifestyle changes that will help us prevent breast cancer." The study was published in the Oct. 2013 issue of Cancer Epidemiology, Biomarkers & Prevention.